Stars form when dense gas clouds collapse. This picture is accurate and simple, yet the actual physical details of how turbulence in these interstellar clouds interacts with gravity are quite detailed and not yet fully understood. Observationally we know that virtually all stars form within giant molecular clouds (or GMCs; see also Ellie’s earlier astrobite). The gas turbulence, or random fluid flows, within a GMC naturally forms clumps when gas flows shock and subsequently cool. These clumps, which grow through gravitational accretion, are typically the only parts of the GMC that are dense enough to precipitate star formation. The authors of today’s paper explore the connection between the rate of clump mass accretion and the rate of star formation within the clumps. The authors attack the problem analytically, considering a typical dense clump within a turbulent GMC near virial equilibrium. Since the details are technical, we’ll just focus on the general assumptions made in their derivation. The turbulence-generated clump, which starts out at a seed mass of about a thousandth the mass of the GMC itself, proceeds to grow through Bondi (or spherical) accretion. The authors neglect feedback from nearby stars (arguing that it only becomes important in the later stages as a clump becomes more and more massive) and the angular momentum of the accreted gas. The authors then assume that within their growing clump, the typical star formation rate prescription obtains: . Combining all of these assumptions, they end up with a differential equation that can be numerically integrated for different size GMCs and clumps (see Eq. 21 in the paper). From Fig. 1 of paper. 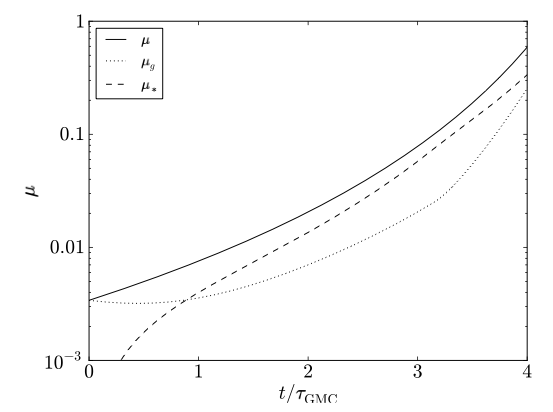 The x-axis denotes the ratio of clump mass to the GMC mass. The y-axis variable f_g denotes the "gas fraction", or the fraction of mass in the clump that is comprised of gas (as opposed to stars). The red curve starts with a clump of all gas, and the blue curve starts with a clump of all stars. The dashed line shows how f_g evolves if the clump grows very slowly. The “gas fraction” is defined as the fraction of mass in the clump that is comprised of gas (as opposed to stars). Figure 1 shows that, regardless of the initial value of in the clump, as the clump grows, quickly converges. Also note that, ignoring the initial preset variation, only varies by a factor of ~2, even if the clump grows by over 2 orders of magnitude. This strongly suggests that the vast majority of stars are formed by the clump accreting gas from the GMC, not because the clump just sits around depleting its own gas reserves. Another of the major results is shown in Figure 2, which shows that the clumps grow slowly for a long period, then gain most of their mass in a quick burst. 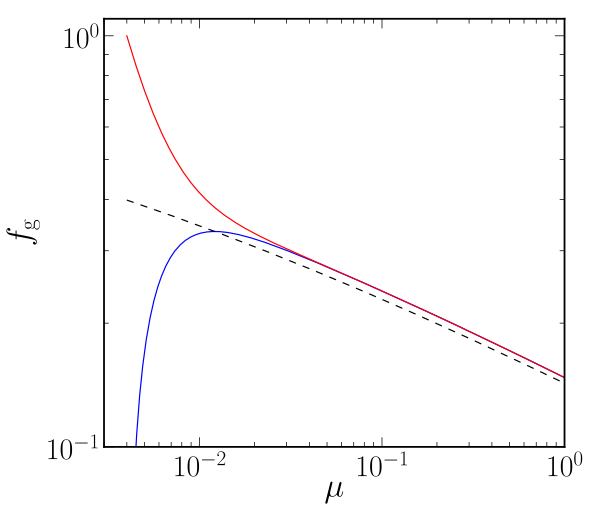 Figure 2 also shows that the star mass fraction tends to closely follow the clump growth in time, giving further support to the idea that star formation is controlled by the clump accretion rate. Combining these results, the authors note that this means that most stars are formed at the end of a GMC’s lifetime, when the clumps are experiencing run-away growth, before feedback from new stars disrupts this process and literally tears the GMC apart. 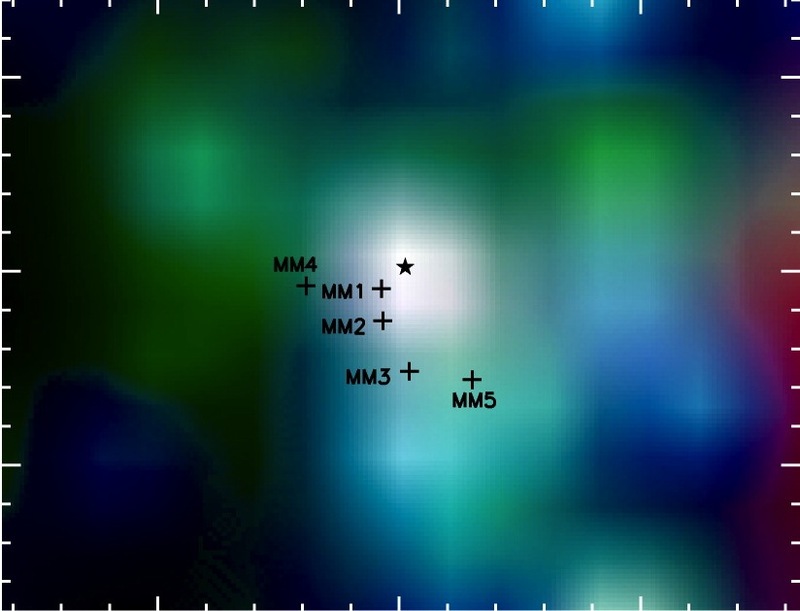 The authors note that their results are broadly consistent with both observations and recent simulations of star formation in GMCs. Specifically, the picture of turbulence-generated clumps which then gravitationally accrete seems to be confirmed by numerical simulations. 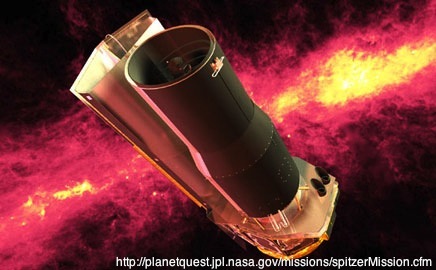 This is an interesting chapter in the ongoing investigation of how gas turbulence and gravity interact to give birth to new stars. See http://arxiv.org/abs/1009.5674 for an opposing theoretical view.